The DevOps method seeks to increase efficiency and productivity through team collaboration and automation of software development and deployment processes. 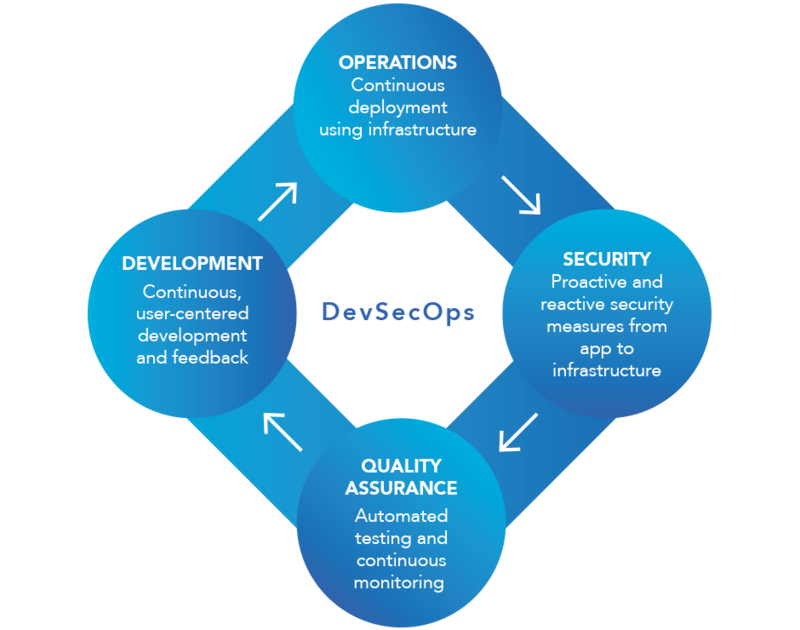 The DevSecOps method has the advantage of integrating security mechanisms into all phases of development and promoting them among developers, engineers, delivery experts and QA experts. 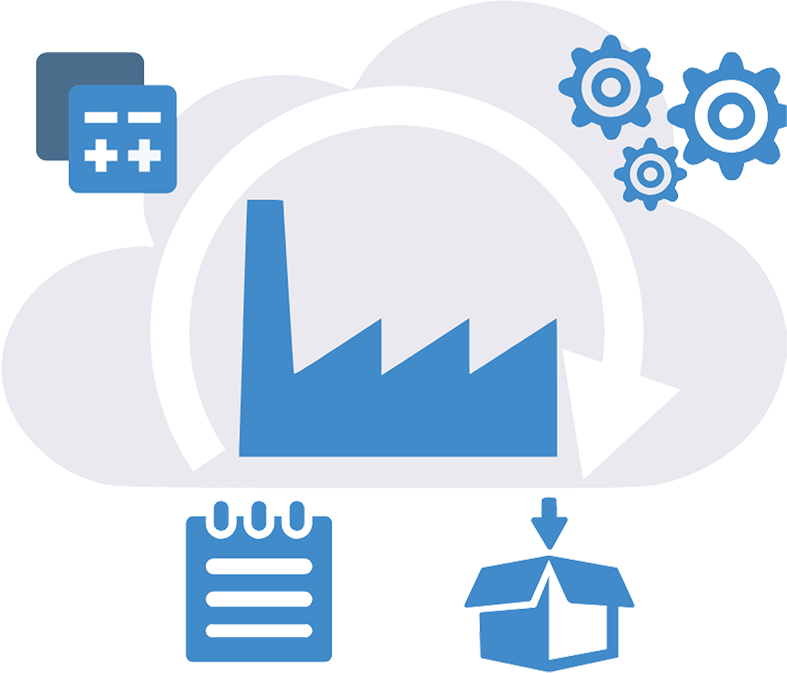 The goal is to create high-quality Cloud software as efficiently as possible. AZUR Innova is based on more than 20 years of previous software development with performant architectures, frameworks, and productivity tools that have improved over our hundreds of projects. Our strength – Our tools allow to automatically import the definition of the formats of your DB and to automatically generate the CRUD management (create, read, update, delete) of your data via a Cloud software without writing a single line of code. On average, our tools generate, in only a few seconds, more than 500,000 lines of code (Angular, C #, SQL) per software prototype during the phase 1 of our development process. 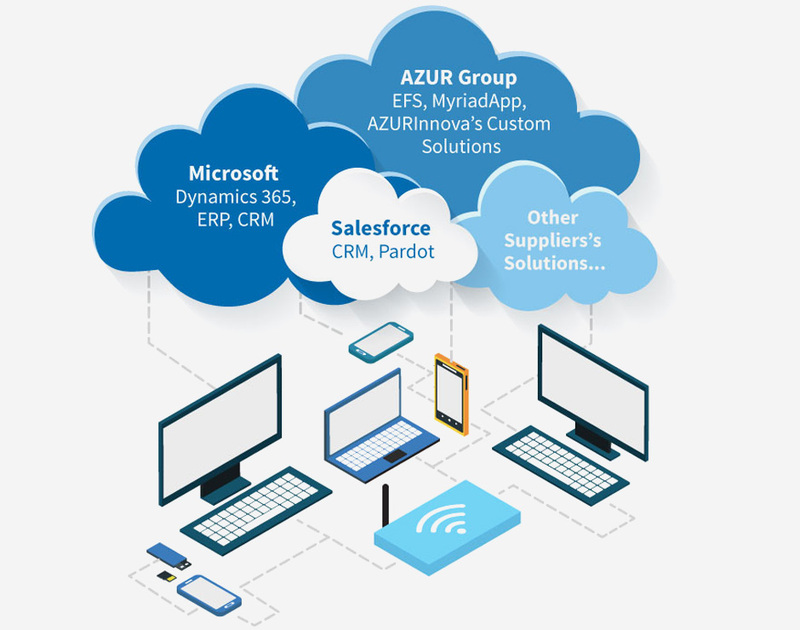 AZUR Innova offers the software MyriadApp, which accelerates the creation of custom Cloud software for the Salesforce platform. With our Salesforce team of experts, these features enable you to quickly develop a myriad of additional services for your business on the Salesforce platform. Thus, MyriadApp becomes a software that centralizes all your services’ management activities. It also integrates with your sales, accounting and human resources management systems. Custom and interconnected Cloud solutions are a prerequisite for your business to remain relevant and successful. We work in partnership with industry leaders to deliver high-quality and interconnected Cloud business solutions. 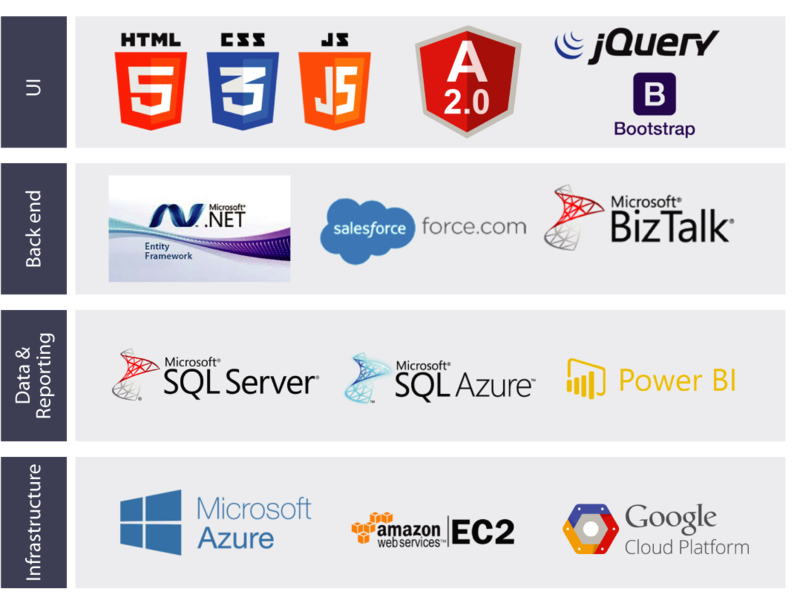 Here is the set of modern technologies we use to create high-performance Cloud solutions.